Finely crafted in the USA from North American Hardwoods. Sanded, ready to finish in either stain or paint. 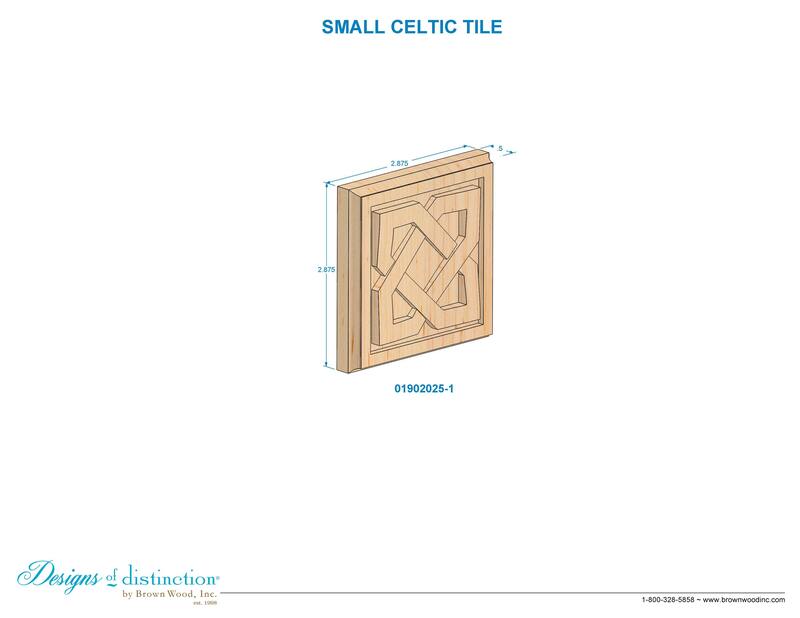 Apply the Celtic Tile to your doors, windows, fireplaces, furniture, and other pieces to bring Irish and Celtic décor to life. Its carved wood knotwork pattern brings Olde World cheer to any room. The perfect corner accent for door frames. Shop for matching components in the Celtic Collection.